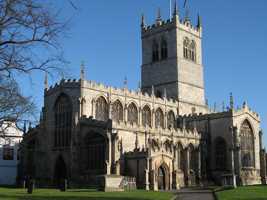 The church was founded in 1258, but the current building is almost completely the work of restorers of 1658, 1854-5 and 1905. 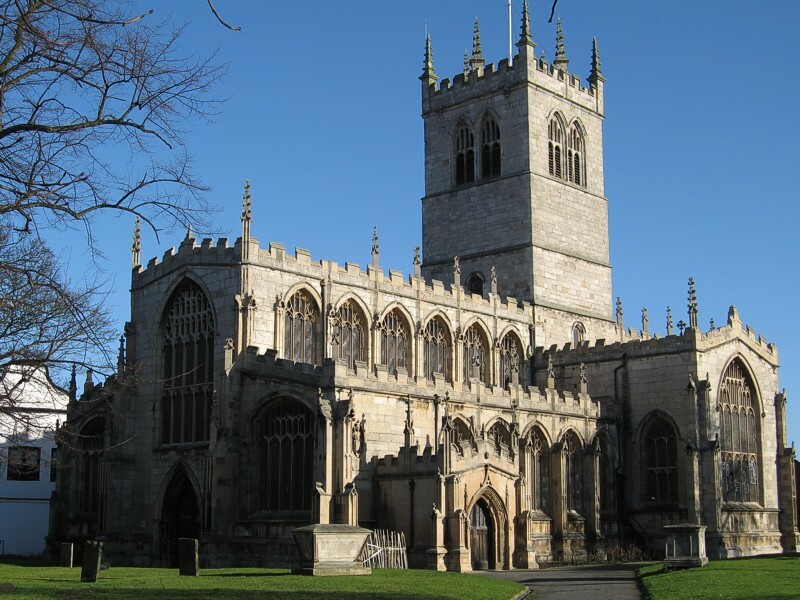 St Swithun’s is a cruciform stone building consisting of chancel, with vestry, nave aisles, transepts, north chantry chapel, south porch and a 90' central embattled tower with 8 pinnacles, containing a clock and 10 bells. The oldest, virtually untouched, part is the north transept, although it has now been transformed into a chapel as a war memorial. The tower and chancel collapsed in 1651 and were rebuilt in 1658. The tower is supported by four massive arches and the nave and aisles are separated by arcades of five bays. There is a stone pulpit, an eagle lectern in oak, and a large organ erected in 1841. The south porch built in 1852. In 1884-5 G G Place re-built the north aisle (with capitals imitating the 13th century ones), then north porch, north chancel aisle, clerestory, battlements and the east window of 13th century stonework. (All of these were renovated in 1905.) Galleries were removed and new seats and roof installed. G F Bodley re-built the chantry chapel in 1873 and refurbished the chancel. New choir stalls were erected in 1889 and in 1910 and 1914 the corporation presented new stalls for its own use. In the north transept is an incised slab to Henry Smyth (d1496) and Sir Whatton Amcotts (d1807) by William Kinnard, architect. The Victorian stained glass is instructive with work by Clayton & Bell, Kempe & Co, O’Connor, Hardman, Wailes and one by a local, George Shaw.